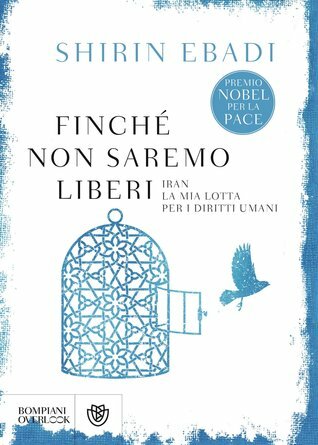 In this powerful book, Dr Shirin Ebadi, Iranian human rights lawyer and activist, tells of her fight for reform inside Iran, and the devastating backlash she faced after winning the Nobel Peace Prize.Having fought tirelessly for democracy, equality before the law and freedom of speech, Ebadi became a global voice of inspiration. Yet, inside her own country, her life has been plagued by surveillance, intimidation and violence.Until We Are Free tells shocking stories of how the Iranian authorities eventually forced her into exile. Her sister and daughter were detained, her husband was enmeshed in an espionage plot with another woman, her Nobel medal was stolen from her safety deposit box, and her offices in Tehran were ransacked.An illuminating depiction of life in Iran today as well as the account of Ebadi's personal struggle to uphold her work and keep her family together, Until We Are Free is ultimately a work of hope and perseverance under circumstances of exceptional difficulty.